Modern physics questions the absoluteness of time. Yet the cosmological theories of Mach, Einstein, and Barbour are no more testable, given the scale of the universe, than those of the first theoretical physicist, Parmenides, who was also a poet. He described how change cannot logically exist yet it observably exists. This kind of paradox is the stuff of poetry. Since the arrival of quantum physics it is the stuff of physics too. Perhaps physics can only advance, and poetry can only maintain what Thomas Hardy called its sustaining power if each is open to the thinking of the other. 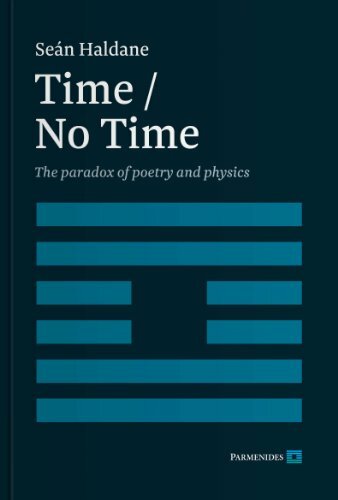 This book explores the findings of neuroscience as well as the experience of poets and physicists when faced with the paradox of Time / No Time. Seán Haldane was born in England in 1943, he grew up in Northern Ireland, and in 1967 moved to Canada where he lived until 1994 in Quebec, British Columbia, and Prince Edward Island. He now lives in London, England. He was educated at the Royal Belfast Academical Institution and at University College Oxford where he obtained First Class Honours in English Language and Literature. Subsequently he completed a PhD in Psychology at Saybrook Institute (now Saybrook University), San Franciso, and trained and became licensed in Clinical Psychology. He has worked as a psychologist and neuropsychologist, mainly in memory clinics, in Canada and in the UK, most recently as Head of Neuropsychology in the NHS in East London. He is best known as a publisher (The Ladysmith Press, Quebec, 1968-1974), a writer of psychology books (Emotional First Aid, Couple Dynamics) and literary studies (Donne, Hardy), and as a poet: his first published volume of poems was in 1968, and his most recent is Always Two: Collected Poems 1966-2009.